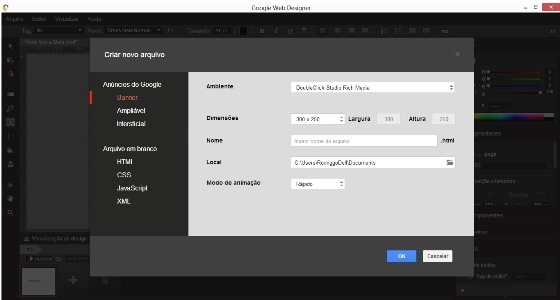 Google WebDesigner: The Great Tool for Developers, Google announced a new tool that will help from professional web designers, even the most amateur one in their web designing career. Google WebDesigner is still in beta, however, it can now be downloaded and tested, and promises to bring an experience of HTML5 amazing for all kinds of professionals, from the most experienced to those who are still crawling in the truck or are just curious. Quite mild, the program weighs less than 60 MB, and has a very user friendly interface, now featuring face some features of program. You are interested, you can access the official Google WebDesigner website of the new product through this link, and download the beta.